Puffer fish; this fish has many names including the blow and swellfish. 90 different species fall under the category of puffer fish. Mainly, these are all types of fish which inflate themselves with air, much like a balloon. These fish are found primarily in salt water, but can also be found in freshwater as well, and typically are characterised by how they inflate themselves and by their prickly skin. The largest puffer fish in the world is about three feet or 90 cm in length, with an ev en bigger diameter. What makes these fish so dangerous is their deadly poison. Tetrodotoxin is the substance which is so dangerous and can kill humans as well as other predatorial species. There are a select number of chefs who can cook these fish to ensure they are not toxic to eat. 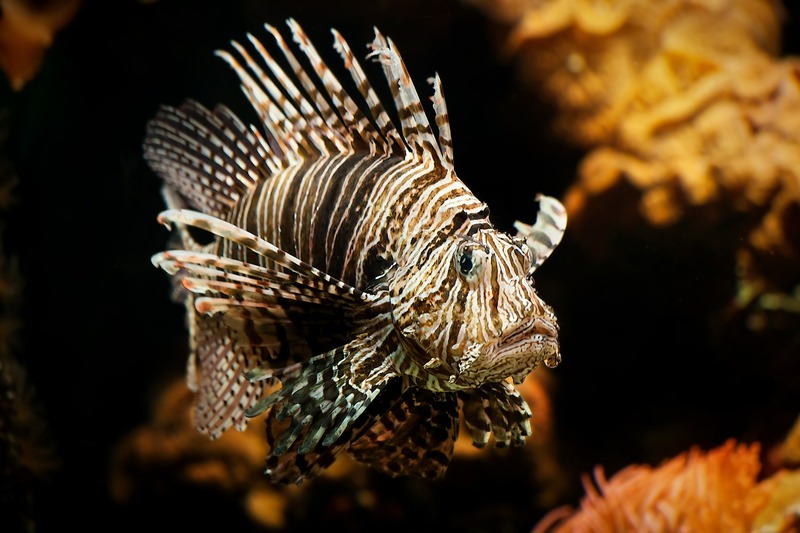 Lionfish; this is also another umbrella term which is used to refer to several different species. These fish have toxic fin spines and can create puncture wounds that are extremely harmful to humans, but unlike puffer fish, are not fatal. The red lionfish is the most common of these species. The carindu is a fish which is uniquely known to be scaleless, but closely resembles in many ways the catfish, but also physically resembles a translucent eel. These fish are a convenient enough size to enter the urethra of swimmers.